This Honey Bee Country Club Wedding was a lot of fun. With the Groomsmen having some time for themselves during portrait hour, we went out to Red Wing Park and let them loose. The nice black tie suits had nothing on them as they struck their pose when I asked them how this wedding made them feel. 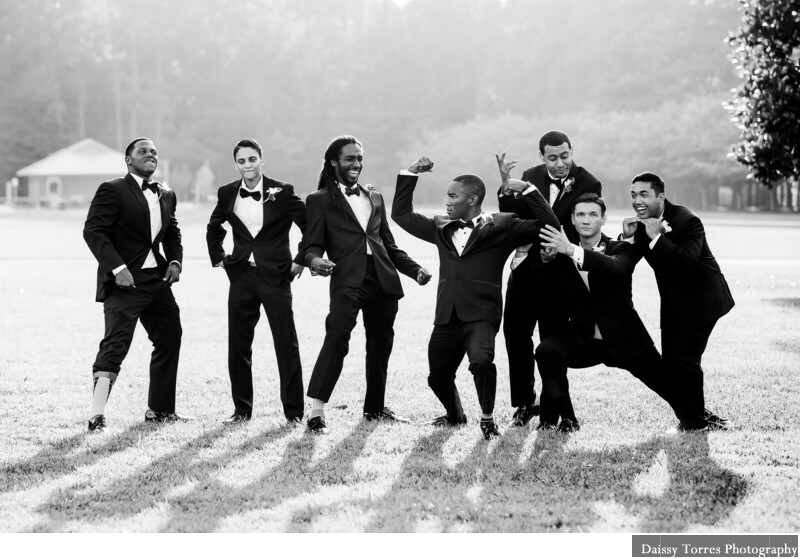 I love a good group of groomsmen who do not take themselves too seriously, want to have fun but at the same time honor their best friend and his new wife. Location: 1398 General Booth Blvd, Virginia Beach, VA 23451 .